Yearly contract where Goose Busters II assumes total responsibility for goose control. We will visit the property five times a week after an initial intense period of a week or two. Because the geese are unable to fly during molting seaon, we do not work the property during this time. While this is not an "on call" contract, we welcome calls to let us know when the geese have arrived so that we can change our arrival times. Client may contract with us to do a smaller amount of visits per week if they so desire. • Monthly or seasonal contract with the same stipulations as above. • "On call", where the client is charged by the call and billed each month for the previous month's calls. 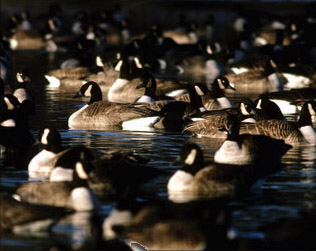 • Monthly written report listing dates and times of all visits, number of geese found, and any other pertinent information will be sent to client upon request. • All egg depredation activities will be carried out by Goose Busters II, provided the proper permit is obtained by client. • We will aid client in obtaining the egg depredation permit and will keep all records of locations of nests and dates of depredation activities. 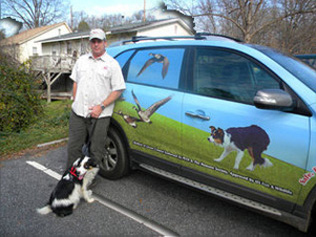 We will aid client in filling out the year end report to be sent to US Fish and Wildlife. • Aiding our clients in obtaining the necessary Federal permits and the managing of all egg depredation activity records.